The web applications were in demand when the internet widely expanded over the globe. The web application is use for searching hotels, restaurants, booking tickets for the train-bus-air, an exam form submission, checking results, gathering data related to concern subjects etc. Nowadays all these matters sync with mobile app very easily. The mobile apps are spread with 30+ categories and lots of apps exist in Google play store and other App stores. You may find your app using play store optimization tips and to do so follow “how to get your app on Google Play Store”. Search Engine Optimization (SEO) is making your web application content high in search engine. App Store Optimization (ASO) making your mobile app content high in play store. 1. How to get your app on top ranking in the Google play store? The experts know the strategies to rank high your mobile app in play store. 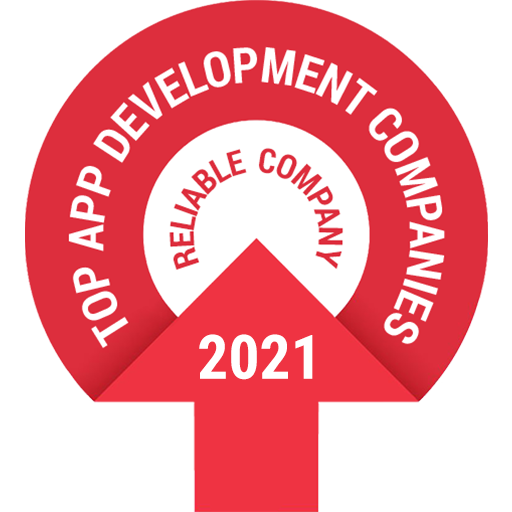 The expert who have skills to cross the heavy traffic roads and drive your mobile app on top of the play store. The content marketing, in-app referrals, and social media are the key factor or mediums for effective growth of your app. Facebook and Google Play Store are the examples of organic download. A new version of the app will force a user to uninstall the app. Or instant uninstallation after being download the app is not good for mobile app ranking in play store. While creating and uploading your mobile app on Google play store, you can keep the following things to optimize mobile app. Use your main keyword in the app title. If your title has the right keywords related to your app. It can increase the chances of getting discovered by users in search. If you use a keyword which is already in the market would be avoided. Even though, if you keep the same name of google will auto-direct to the name or suggest user to the popular app instead of your app. You can describe your mobile app in description very short and strong. Use keywords 3-4 times in the description. Don’t miss social proof like awards and got covered by leading media agencies. First 167 characters will count as meta description for the search engine. You can analyze your keywords measurement using the Annie App. The app will help you to identify top keywords and creative assets to maximize organic app downloads. How the mobile app attract people when they land on the app store? People get to understand very easily by visuals. The images, Screenshots, and video are the visual aspects which help the user to go with install the app to his/her mobile. The screenshots are the way to make your user convince about mobile app design, structure, and flow. The rating of mobile app indicates that your mobile app shows your stand in the search bar. If your app has 5 stars, then your mobile app has more chance to be on top when people searches any category related to your app. To optimize your mobile app by putting a button named call to action for user feedback and ask a user to give a 5-star rating to your app and promote it. The reviews and ratings will help you to improve your mobile app for next version of your app. Read the reviews written by the users and fix the problems in the upcoming version. The social media plays crucial role to get attention towards your product. If you have the better connection with social media platform makes your app store optimization strong in general search engine which increases the traffic of your app. Use Facebook and Linkedin group to share your content. The post sharing on social media platform would increase your app visibility. Linkedin is more professional than Facebook so you will have more quality of contact to your product. You can increase your visibility using social ads 1) Facebook 2) Twitter & 3) Instagram. Nowadays these three social media platform runs successfully for mobile app product. There are the different choice of apps appeal to the different type of audience. For successful app marketing, we must find the perfect audience to come at the door. Do target the audience who require the app in such categories. There are many devices available and in use by the audience in the market for their business and other purposes. The application is must support the compatibility with all the devices available and in use so a perfect view can easily work for the user. Tablets are more in use by the people and also drive traffic using it. The chances of being uninstalled app are increased therefore it is recommended to the developer that create the app in enough size which makes user easier to download as well as install the app. By applying all the above factors to make your app ASO powerful and think about how would you feel? The majority of owners reviewed that they are satisfied and happy with results of their app optimized well. Well, it totally depends on your decision for applying the factors to improvise your mobile app on top. You may find your app using play store optimization tips and to do so follow “how to get your app on Google Play Store”. Hello Hiren, thank you for providing us this informative blog. If your app is not optimized properly, it will be lost in the crowd of the other millions of apps and you can reap no benefit from it, no matter how functionally sound it is.